James II was the second son of King Charles I and his wife, Queen Henrietta Maria. Like that of his elder brother, Charles, who had been born in 1630, James’s childhood was blighted by the events of the English Civil War. In 1645, the royalist city of Oxford was taken by the forces of Parliament, and the young James, duke of York, who lived there, was taken prisoner. In April 1648, James escaped London and fled to Holland. On news of the execution of his father, Charles I, in January 1649, James’s elder brother, Charles, prince of Wales, was immediately proclaimed king. James would make his mark as a soldier. By the 1650s, Oliver Cromwell had gone far to becoming the leading member on the side of Parliament and soon styled himself the almost-regal Lord Protector. James gained military service in the French army under the great Marshal Henri de Turenne, but when Cromwell entered England into an alliance with the French, James left the service of Louis XIV and joined the army of France’s enemies, the Spanish. The next year marked the beginning of another chapter in James’s life. On May 29, 1660, his brother was welcomed into London on his 30th birthday as Charles II. When the English went to war with the Dutch in 1665, James proved himself on sea as the lord high admiral. James was an able and determined military leader in the naval battles against the Dutch. In England, however, James did not fare as well. His open conversion in 1688 to Roman Catholicism alienated both of the growing parties in Parliament. Two Test Acts, requiring one in effect to pledge allegiance to the state-sponsored Anglican Church, barred Roman Catholics from serving in either of the two Houses of Parliament. James, clearly perceiving this as an attack, resigned his office of lord high admiral in 1673. Attempts were made to press through Parliament an Exclusion Bill to bar James from the throne, but the bill ultimately failed. By the time Charles II died on February 6, 1685, the Tories and Whigs were both resolved to receive James as king (James VII of Scotland and James II of England). 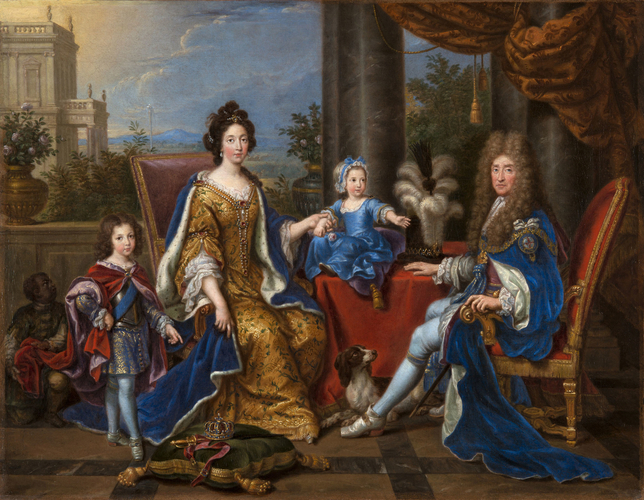 Both political parties were resigned to his practicing his Roman Catholic faith as long as he and his second wife, Mary of Modena, did so privately. On April 23, 1685, he was crowned king in Westminster Abbey and Mary of Modena his queen. 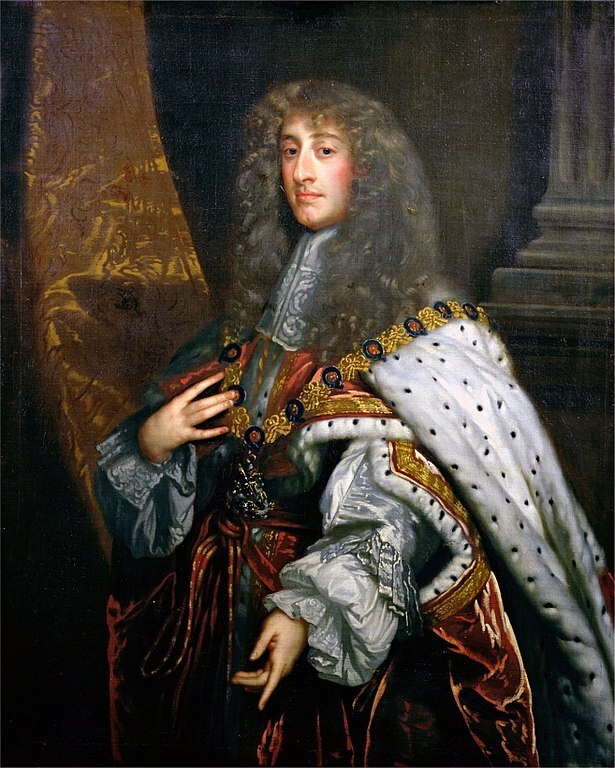 In June, James, duke of Monmouth, landed in England to claim the throne as the Protestant claimant. Monmouth’s forces were quickly defeated. Within three months, James began to squander the goodwill he had enjoyed at his coronation. Rather than behaving magnanimously toward Monmouth, he had him beheaded as a common traitor. Additionally, he unleashed a political reign of terror, known as the Bloody Assizes in the West Country. In November 1685 James shut down Parliament to rid himself of the debates and challenges to his decisions. James also seemed determined to disestablish the Anglican Church in England. Magdalen College, in Oxford University, became a Roman Catholic seminary to train native English Catholic priests. James also presented a Declaration of Indulgence designed to lift legal restrictions from those who did not profess the Anglican creed. He required the declaration to be read in all Anglican churches and when the archbishop of Canterbury William Sancroft and six other Anglican bishops protested, they were imprisoned in the Tower of London. While it appeared that the throne would go to James’s Protestant daughter Mary, or the hereditary ruler of the Netherlands, William of Orange, the English people hoped that the Protestant religion would survive James’s rule. However on June 10, 1688, a son was born and Whig and Tory leaders realized that a Catholic would be the next monarch of England. On the day the bishops were acquitted, Thomas Osborne, the first earl of Danby, a Tory, and six other Tory and Whig party members signed a secret invitation requesting William to invade England and, with Mary, overthrow James. On November 5, 1688, helped by what would be called the “Protestant Wind,” William’s invasion fleet anchored at Torbay. Danby led a rising for William in the north of England, while rebellion broke out in other parts of the country. The army’s leading commander, John Churchill, also gave his support to William. James fled England to seek asylum with Louis XIV in France in December 1688. William and Mary were welcomed in London and, on February 13, 1689, formally proclaimed king and queen of England by Parliament.